We are always delighted to welcome back the lovely and very informative author Regan Walker. Today she’s going to tell us about what the island of Guernsey would have been like during the French Revolution. So, without further ado, we will hand you over to Regan. 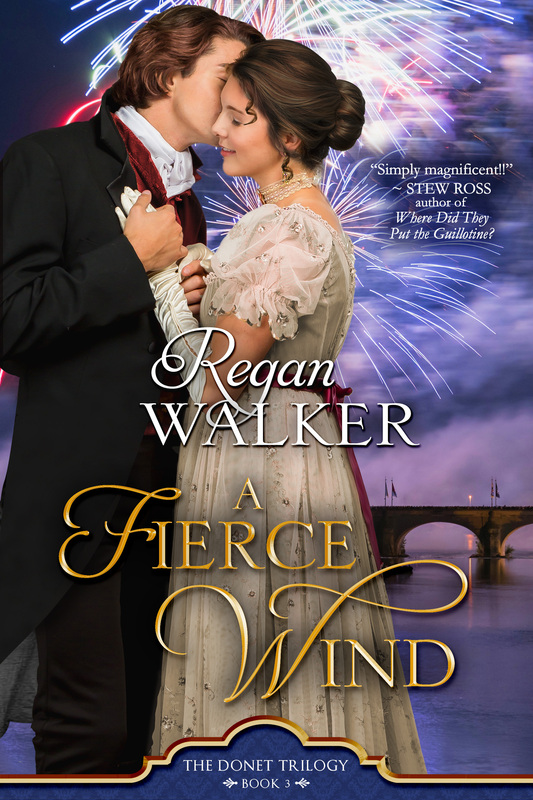 My newest novel, A Fierce Wind, is set in England, France and the Isle of Guernsey during the French Revolution. It’s an exciting story of love in time of war when loyalties are torn and love is tested and when the boy Zoé Donet knew as a child turns out to be the man of her dreams. Since Guernsey has been of particular interest lately, I thought to give you an idea of what life might have been like there in the late 18th century. 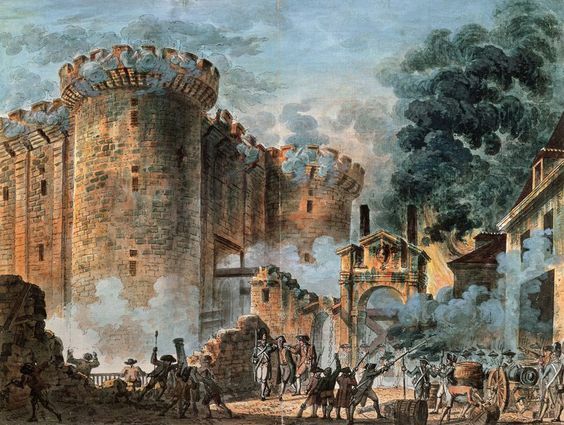 With the storming of the Bastille on July 14, 1789, French émigrés began flowing into England and other parts of Europe in successive waves that became a huge tide of emigration. (The number is believed to be one hundred and sixty thousand.) Some fled to Guernsey, one of the Channel Islands, then called “the French Isles” even though they were dependencies of the British Crown. 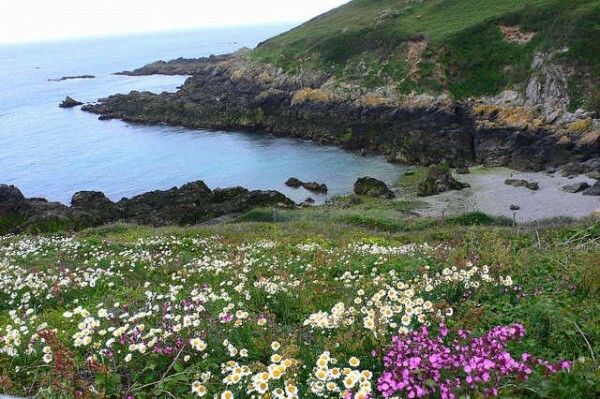 A considerable number of royalist and Catholic émigrés took refuge on Guernsey and a portion of those settled on the island, giving up hope of ever returning home. Lying so close to France (less than twenty miles from Normandy), the islands not only provided sanctuary to the fleeing French, but they were used by the British as a base from which to monitor the movements of ships in and out of the Normandy’s ports. Hence, it was not surprising that Frederick West, the hero in A Fierce Wind, who lives on Guernsey, became a spy for the English while working with his French brother-in-law to ferry émigrés to London. Freddie’s superior in London was Evan Nepean, Undersecretary of the Home Office and, after 1794, Undersecretary of War. One of his chief interests during the revolution was intelligence and Captain Philippe d’Auvergne on the Isle of Jersey was a primary contact. In addition to his duties as commander of the flotilla of small gunboats that protected the isles and administrator of the French émigrés, d’Auvergne was a British spymaster. Although the Islands have been loyal to the English crown for eight hundred years, the native people would have been of Norman and Breton stock. In the late eighteenth century the majority of Guernsey’s population conversed in Guernsey-French (derived from the old Norman-French with Breton words tossed in), but in the capital, St Peter Port, they also would have had a working knowledge of both French and English. During the Revolution, people might have been starving in Paris, but on Guernsey, they generally ate well. Good weather and good soil produced a rich bounty of fruits and vegetables. Figs and oranges grew on Guernsey. Healthy cows provided fine milk, butter and cheese, and most households kept a pig or two. Oysters, fish and lobsters abounded. Guernsey fishermen also brought home cod from Newfoundland. Wine and spirits were plentiful, too, and always had been since the isles were home to many privateers. Even before the French Revolution, Guernsey was an entrepôt, a place for temporary storage of goods and provisions held free of any duty for exportation to another port or country. Being a free port, the British Parliament had no right to levy taxes in the Isles and the Isles themselves had no desire to levy taxes on goods brought to and then exported. Thus Guernsey and the rest of the Isles could import goods from any country, not an enemy of Britain, free of British taxes. There were no bonded warehouses in England in the 18th Century, so warehouses were built on Guernsey to store and mature wine and spirits until they were needed in England. During the war with France, Guernsey warehouses were filled with brandy, wine, tea, rum and tobacco, all in high demand and taxed in England. In my story, Freddie’s brother-in-law keeps a warehouse on Guernsey to store his goods. The first newspaper printed on Guernsey appeared in 1789 under the title of Gazette de L’Ile de Guernesey. It was published every Saturday in French and its size was that of a small sheet of letter paper. It contained local news and items from the Paris journals. In 1791, its publication was discontinued for a short time, but it re-appeared in 1792, under the same title. In 1794, during the Reign of Terror, the first mail packet sailed from Weymouth to Jersey. Informed that postal packets would be crossing the English Channel to and from the islands, the Admiralty asked that “His Majesty’s Cruisers be directed to keep as far as may be an eye on the Packet Boats to prevent their being taken by the Enemy.” Indeed, protecting one particular packet leads to a battle on the English Channel in my story. Guernsey was a hopping place! Thanks so much for having me on the blog, Sarah and Joanne. Guernsey was an amazing place then and beautiful as it is now. A lovely setting for many of the scenes in A Fierce Wind! Regan, as always, we loved your story. For those of you who haven’t read any of Regan’s books, I suggest you pick up her new book. It gives you a fascinating story of the French Revolution that gets lost in the Paris accounts of the revolution. Thanks so much for the kind words, Stew. And, of course, your books are a good guide to all the places in Paris at that time… I used them in my research! You are most welcome, Sylvia!